What’s New in Hamilton: From milestone anniversaries to delicious new dining, 40+ reasons why 2018 is going to be an epic year! How do you top a year like 2017 in Hamilton? You kick things up a notch and do 2018 bigger and brighter with a jam-packed schedule of new and notable cultural events, openings and anniversaries. Read on to find out why this year is set to be the best one yet. Beer enthusiasts have plenty of choices when it comes to stellar suds. Joining hometown favourites like Collective Arts, comes new kids on the block shaking up the ales trails. In the west end, you’ll find small-batch brewers Grain & Grit Beer Co. and Fairweather Brewing, Downtown, there’s Merit Brewing, home to tasty grub and terrific suds on James Street North. Clifford Brewing Co. (set to open early in 2018) is the lone east-ender poised to rack up more awards for its well-crafted creations. 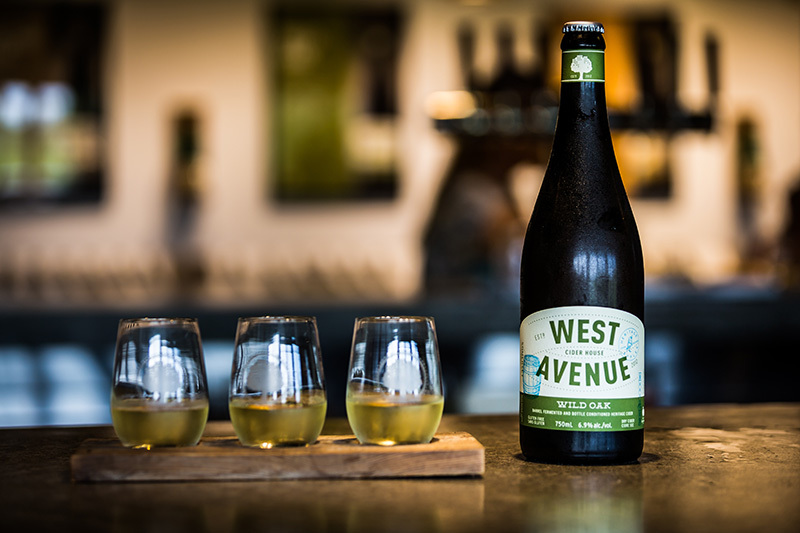 Cider fans can taste Ontario apples in every sip in the offerings of West Avenue Cider House. Read more about the local brew scene in my recent #MyHamilton brewery blog. here. And thanks to a beautiful new partnership between Collective Arts and Donut Monster’s new Locke Street shop, brew lovers with a sweet tooth can now enjoy the ultimate Canadian beverage: donut inspired beer! Need a well-crafted caffeine hit? There’s no shortage of coffeeshops to choose from in Hamilton, a city described by Portland’s based Sprudge Magazine as undergoing a “coffee revolution.” Your options now include the hipper than hip Steeltown Garage Co. featuring motorcycle culture, Paisley Coffeehouse & Eatery (cinnamon buns, yes please!) 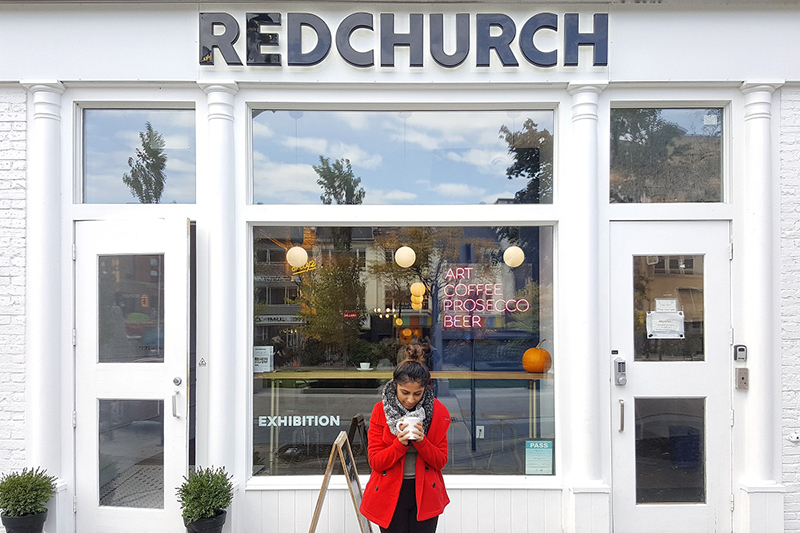 in Westdale Village, downtown’s Redchurch Café + Gallery and The Nook Café, home to, well, plenty of cozy nooks and social media friendly looking coffees. Go ahead and sleep in. You earned it. Once you’re up and about in Hamilton, there are plenty of brunch options to choose from. 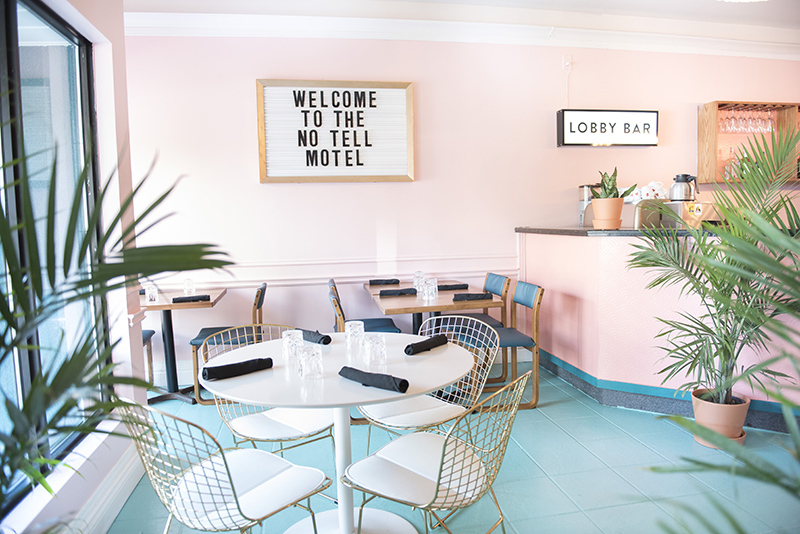 Snag a table at the stylish Beverly on Locke, serving all-day brunch favourites with a twist, or warm up in the midst of the Miami vibe of Motel on Barton Street East and dive fork first in champagne pancakes with gold flakes. You didn’t really think that Hamilton, home to the very first Tim Hortons, would ever stop perfecting the art of making the perfect donut? In this city, it’s an ongoing quest for perfection. Rising to the challenge are spots like Doughboys Donuts where you can grab a handcrafted treat featuring favourite breakfast cereals and the long-beloved donut maker Donut Monster, now with its own location on Locke Street. 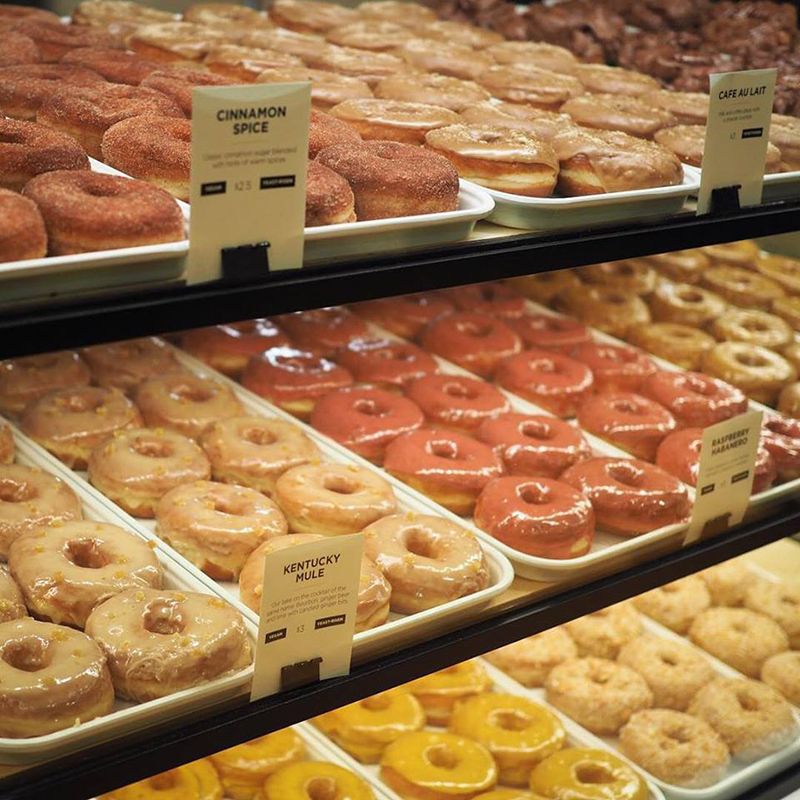 Donuts sell out regularly here – and with good reason. So arrive early! Hamilton does burgers in a big way. Patties Burger Bar uses prime rib for its hefty creations, while Boon Burger, Canada’s first vegan burger bar, taps into plant-based ingredients for theirs. Downtown, the new Twist Burger Bar is laser-focused on quality, including house-made sauces slathered over buns from ACE Bakery. 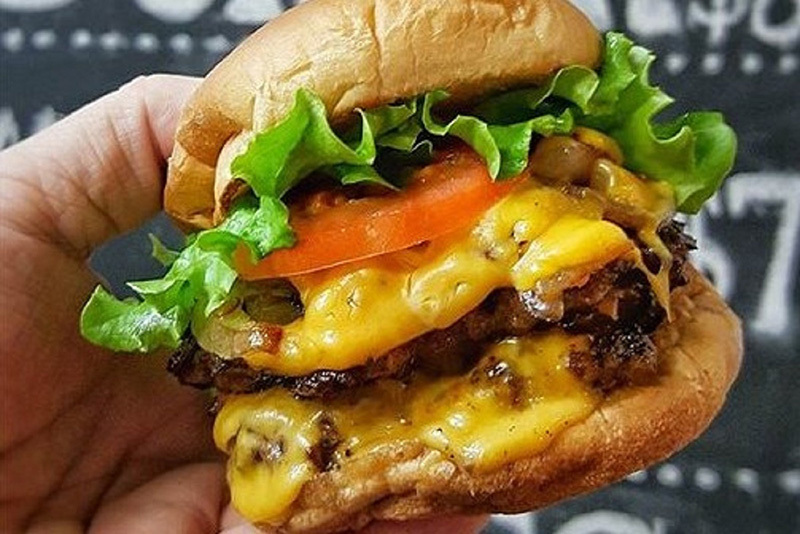 Delirious Burger, which first sizzled in Westdale, gets a spin-off location on Locke Street and Hambrgr has given birth to a second location on Ottawa Street to keep up with demand. Newcomers continue to turn up the heat on the city’s restaurant scene. Noodle nuts can slurp up soup and nibble on authentic Japanese dishes at Kenzo Ramen downtown, or opt for authentic Italian eats at Locke Street’s new Cima Enoteca, quickly winning raves for its homemade pasta and gorgeous decor. For upscale casual fare, grab a table at Moodys, featuring everything from pizza to mushroom pappardelle. 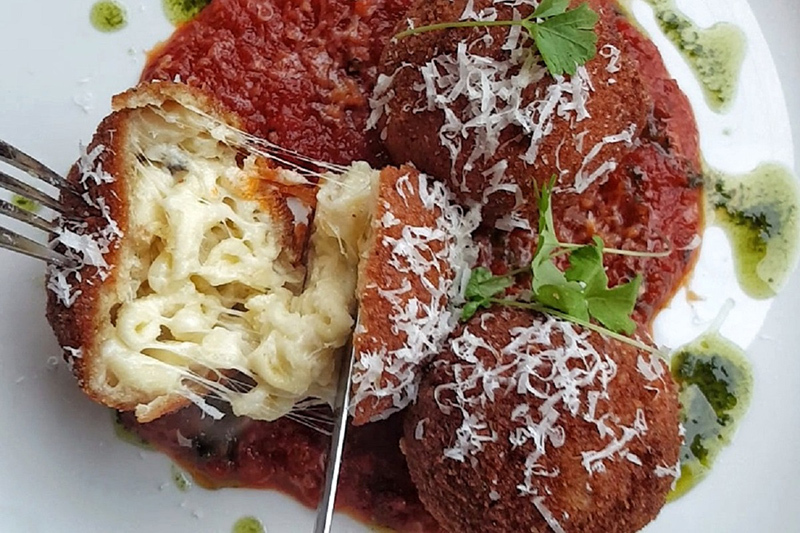 More classic Italian fare is front and centre at Caro Restaurant & Bar, coming to Ottawa Street. Italian classics also star at Fraticelli’s Italian Grill opening on King William soon. Seeking a more international menu? Try a world of flavours at The Diplomat, from beef tataki to vegetable biryani. Fans of Pokeh in the Hamilton Farmers Market can now find their favourite flavour-packed bowls with tuna and toppings at their new Concession Street location. In Westdale, the folks from the much loved Jack and Lois will be opening Pete and Kay. Keep going west to Dundas to Betula Restaurant for seasonal cuisine created in an open kitchen devoted to high quality seasonal ingredients. For more on what’s new in restaurants, see #MyHamilton blogger’s @TasteHamOnt ‘s new restaurants post here. This summer, the rejuvenated rose garden will be in full bloom, showing off incredible blossoms in beds created with sustainable practices in mind. It promises to give RBG’s famed lilac gardens a run for the money. 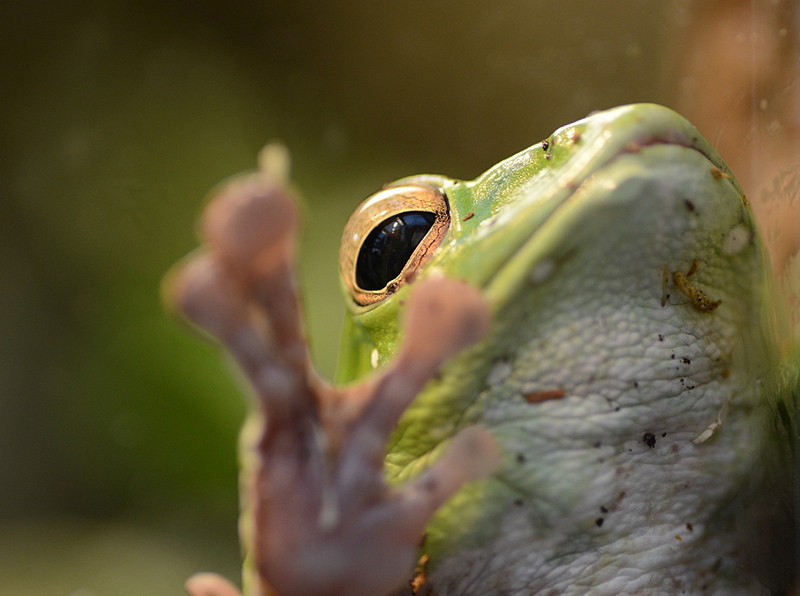 And there’s good news for amphibians fanatics. The Frogs! exhibit returns due to popular demand, giving families a chance to deepen their appreciation of these amazing, colourful creatures. A full calendar of enticing events is music to our ears, thanks to the city’s dynamic Hamilton Philharmonic Orchestra. Ideal for families, a one-hour presentation of Pinocchio (Feb. 3) is sure to keep little ones entertained. 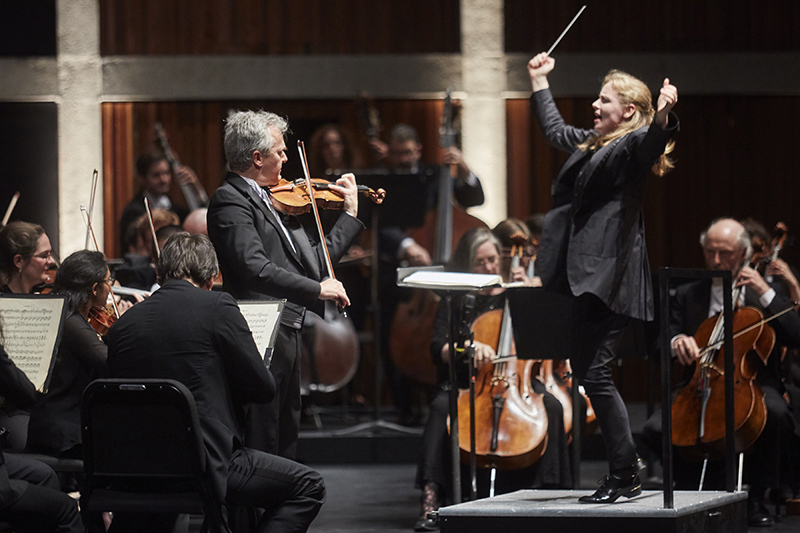 Grownups will love the homage (Feb. 9 to 17) to composer Franz Joseph Haydn. Canadian superstar violinist James Ehnes shows why he’s in high demand worldwide with a performance of works by Beethoven (March 17). 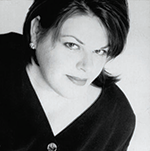 Catch a free chamber concert at the Earls Court Gallery on March 7. Witness: Edward Burtynsky runs Jan 20 – May 21 – one of several new exhibits at AGH in 2018. Plan your visit to the Art Gallery of Hamilton now. Savvy tip: Come the first Friday in the month for free entry to AGH galleries. 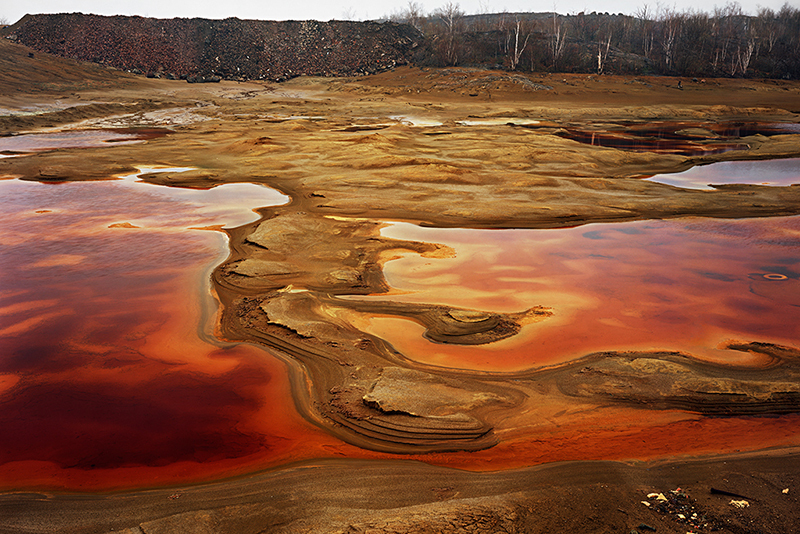 Until May 21, catch Witness: Edward Burtynsky, featuring works by the famed Canadian photographer who puts environmental issues at the forefront. Water Works (until May 27) aims to raise awareness around clean water and its role in a healthy future. Huge news for 2018! Let’s just say for now that fans of the enigmatic American photographer Vivian Maier will be happy. Details to come! Iconic Dundurn Castle has announced the opening of a new interior space: Aunt Sophia’s Room, a revealing glimpse of life in the mid-1800s spent at the home of Sir Allan Napier MacNab. Hats off to the Hamilton Children’s Museum, celebrating 40 years of entertainment and education for local kids. Meanwhile, Fieldcote Memorial Park and Museum, known for its gorgeous gardens, marks its 30th anniversary. 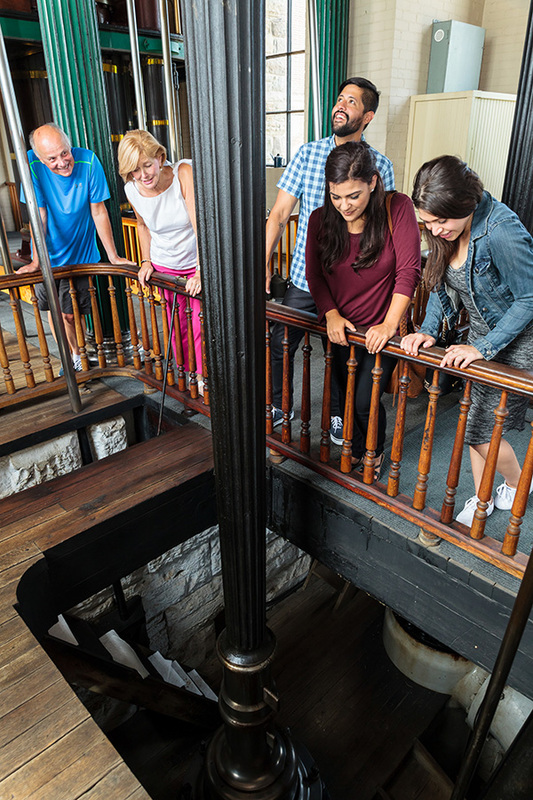 And stay tuned for special curatorial tours coming to Dundurn Castle and the Hamilton Museum of Steam & Technology. Visiting Hamilton? Be sure to stay the night so you can do and see more with lots of new accommodation options to choose from. Enjoy the historic charm and luxury of the recently opened Barracks Inn, located in the heart of Ancaster Heritage Village. Or watch for a new 229-room property from the Sandman Hotel Group opening on Centennial Parkway (not far from Confederation Park and Wild Waterworks). Meanwhile, Quality Inn transforms into a Sheraton Four Points after extensive renovations. Looking to 2019, expect to see a Hyatt welcoming guests to a 134-unit hotel at McMaster Innovation Park. 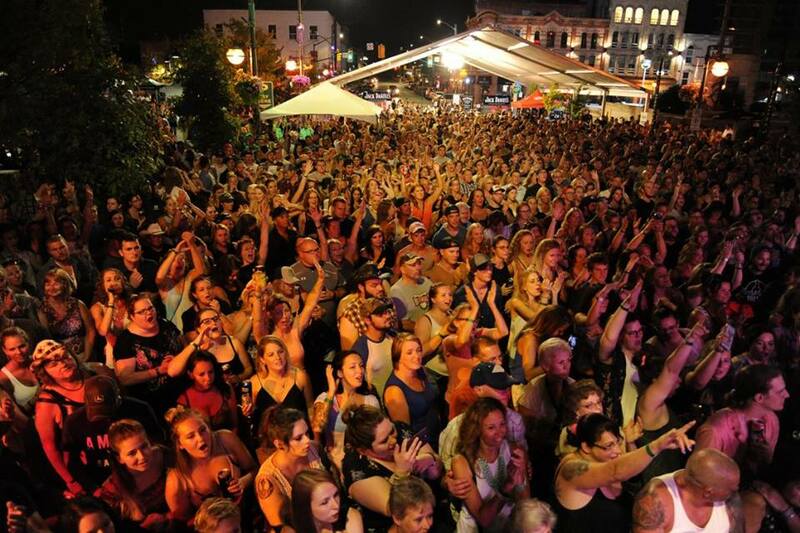 There’s no stopping Supercrawl as it marks nine years of drawing visitors far and wide to the three-day downtown festival to soak up the contagious energy surrounding the city’s arts and culture scene. 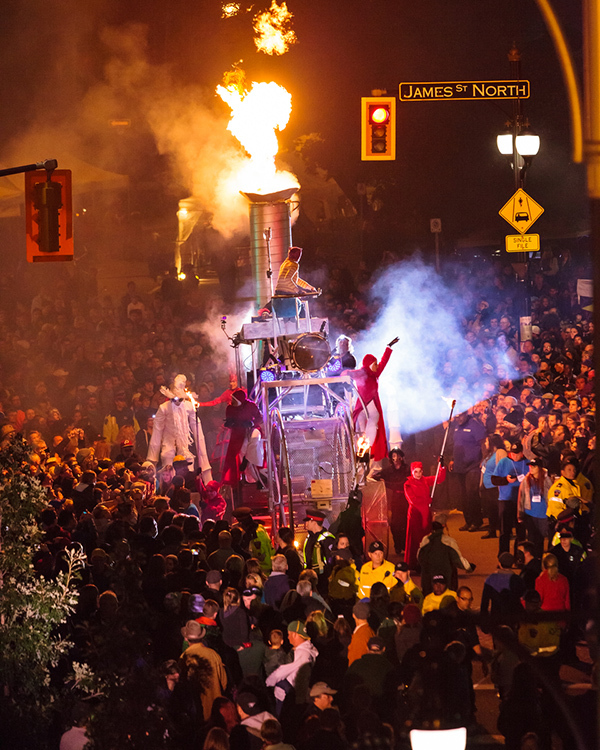 Art galleries, restaurants, local artisans and crafts people, musicians and performers of every ilk have made this is a not-to-be-missed event that recently earned an Ontario Tourism Award for event of the year. Soak it in Sept. 14-16! The city is ready to welcome country music fans to a four-day event coming September 6-9, 2018. It’s a perfect mash up of a music festival and industry conference, sure to get cowboy boots tapping. 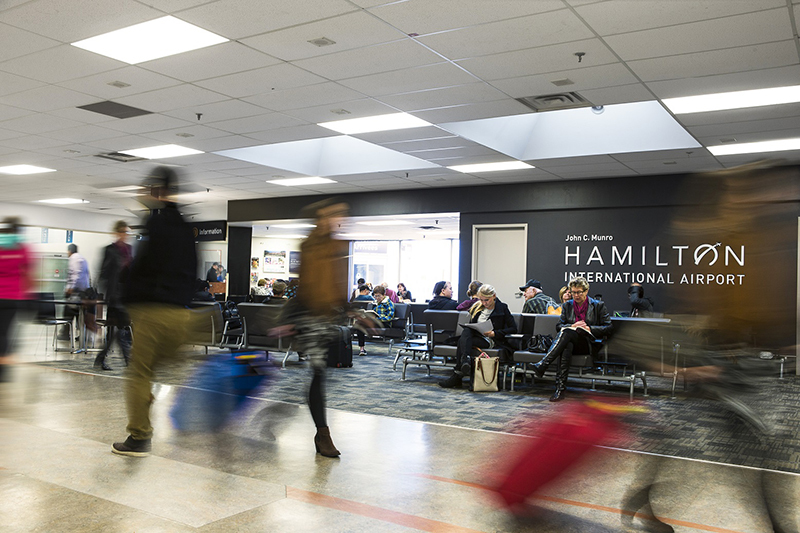 Hamilton International Airport will offer even more convenience and options starting in June 2018 with the summer launch of WestJet’s new “ultra low cost” airline Swoop with flights between Abbotsford, B.C., Halifax, Edmonton and Winnipeg. Also look for even more budget-friendly flights with arrival of Canada Jetlines. While visiting Hamilton International, be sure to hop next door for a visit to the Canadian Warplane Heritage Museum, Canada’s largest flying museum and home to a rare Avro Lancaster plane. 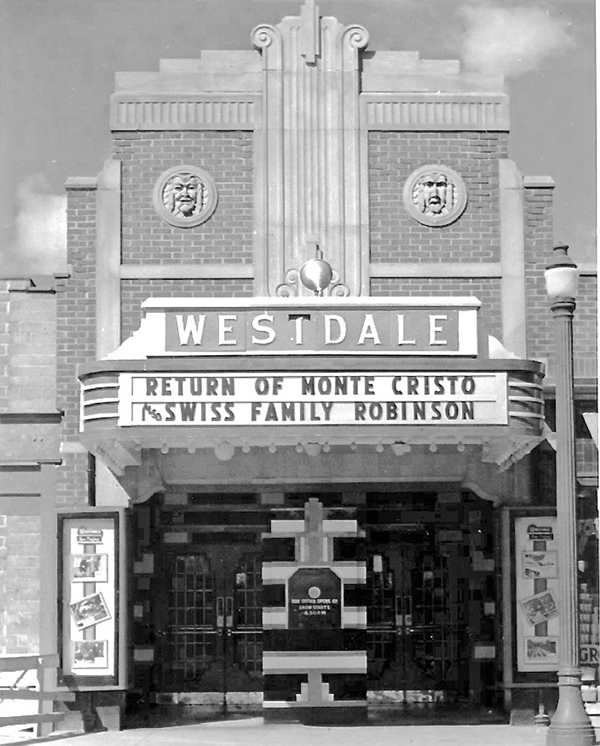 Moviegoers will love the historic Westdale Theatre’s spiffy new look after extensive restorations to its interior and exterior. Built in 1935, it promises to be an exciting new hub for art and independent film screenings, and state of the art exhibition, performance and meeting space. While waiting for the theatre’s much anticipated summer opening, heritage fans can enjoy the recently revealed original façade, including two large format carved limestone masks of Comedy and Tragedy. The Hamilton streetscape is looking good these days, courtesy of a number of new public art installations, sure to become Instagram stars. At the Hamilton Farmers’ Market, check out Raising the Barn by The Aluminum Quilting Society, coordinated by artist David Hind. 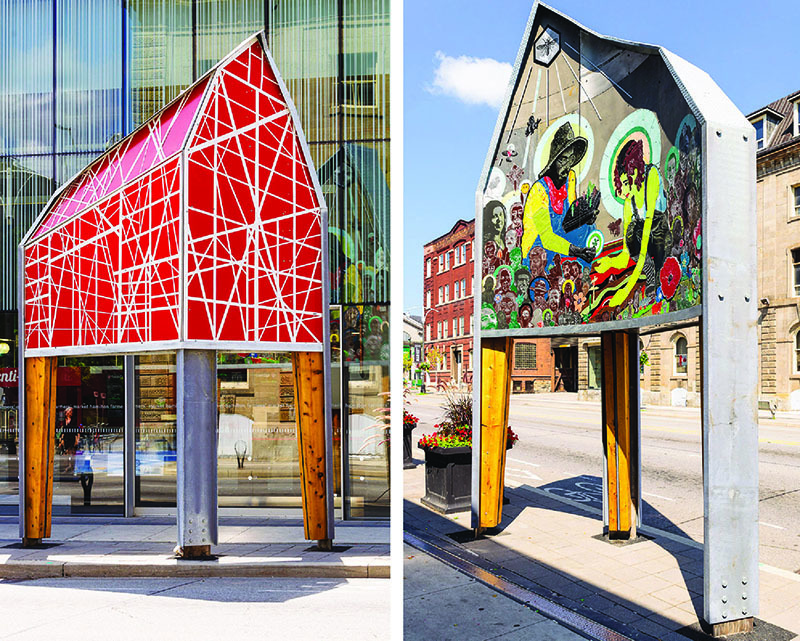 In downtown’s Gore Park, snap a photo of David Kuruc’s Music City Markers. In Ancaster’s Fieldcote walkway, Simon Frank’s Landmark is a stunning bronze of a tree section, inspired by the nature that surrounds it. After an exciting international design competition to create a new promenade at Hamilton’s transforming waterfront, Hamilton: Hammer City was selected as the winning concept. 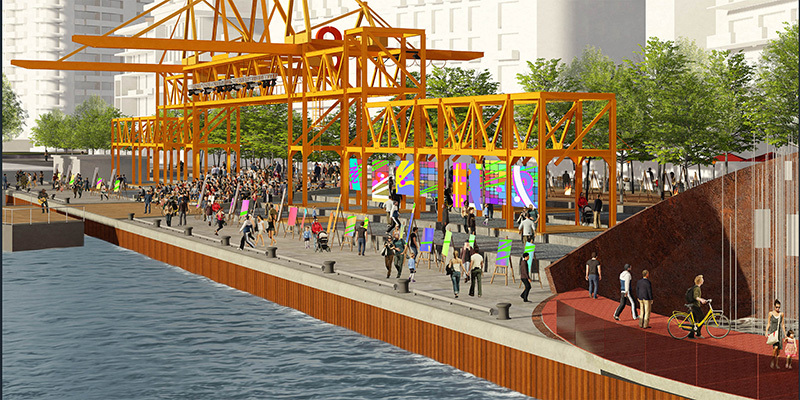 The 30-metre long waterfront space celebrates Hamilton’s industrial and waterfront heritage and will be home to wide range of activities, events and waterfront amenities. Construction is slated for 2018 with completion expected in 2019. Hello Baked brings all things sweet and beautiful to its new Barton Street store. There’s no shortage of one-of-kind items to pick up in Hamilton’s many diverse neighbourhoods. Here are but some of the new stores that have recently opened their doors to happy shoppers. 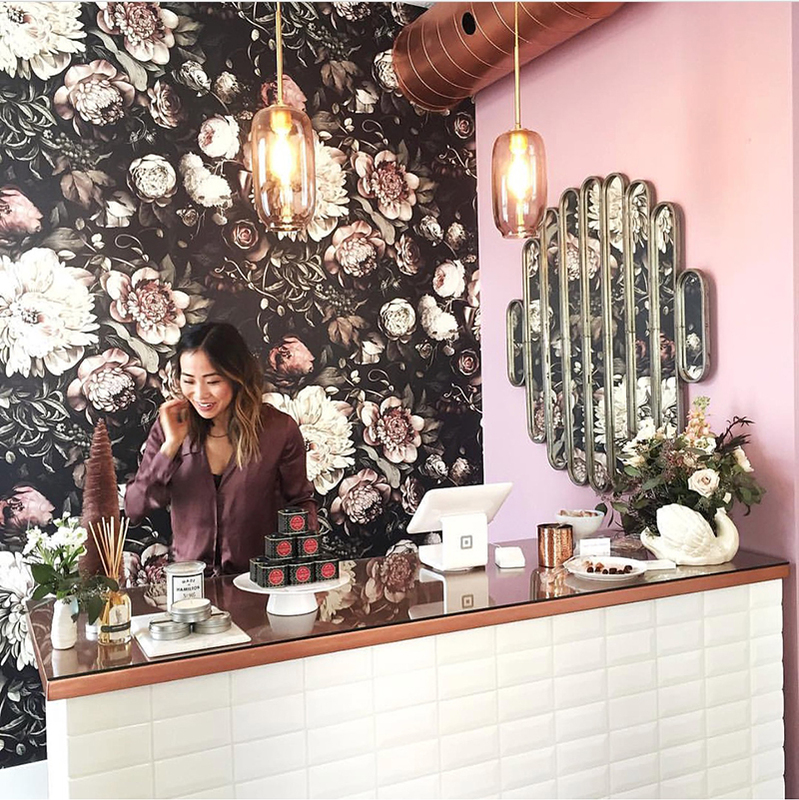 Downtown, Thuya Floral Arts takes flower arrangement to new and beautiful places while Pale Blue Dot offers ethically sourced, sustainable antique and vintage house wares from a stunning James Street North storefront. Nearby on Barton Street, gourmet confectionary boutique Hello Baked now sells its famous hand-crafted sugar cookies from an insanely beautiful storefront alongside a curated assortment of locally sourced candy, French macaroons and premium giftware, much of it locally sourced. Over on Locke Street, vinyl is making a comeback with the opening of Into the Abyss while Ottawa Street welcomes the impressively large Hamilton Antique Market.